XSEED Games, the independent-minded console publishing brand of Marvelous USA, Inc., today launched the official website for the long-awaited strategy RPG adventure, Lord of Magna: Maiden Heaven, located at www.lordofmagna.com. Alongside this announcement, XSEED Games has revealed additional gameplay details regarding the game’s battle system, which are accompanied by a short tutorial video. Featuring aspects of tactical role-playing games, Lord of Magna: Maiden Heaven boasts a unique strategic battle system that encourages players to take careful aim with their attacks in order to "bowl" over as many enemies as possible with a single strike. Four main elements dominate this battle system, each with their own strengths and weaknesses. These are Flame, Frost, Heaven, and Earth. Alongside them stands a neutral non-element, Void, which has no strengths or weaknesses at all. · Luchs [Void affinity] – The game’s main protagonist and the only character with a default Void affinity, Luchs’ attack has an extremely small range, targeting only enemies directly in front of him. Luchs has very limited attack power, and is thus best suited to support skills. · Charlotte [Flame affinity] – High in physical attack power, Charlotte uses a close-range sword called “Flawless,” striking all enemies within a fan-shaped area directly in front of her. · Beatrix [Frost affinity] – Beatrix attacks from a distance with her bow gun, “Selbstgemachte Armbrust,” striking all enemies within a small circular area. · Elfriede [Earth affinity] – Elfriede attacks three times in succession with her machine gun, “OP4 Vulcan,” striking all enemies in a thin, U-shaped area. · Gabriele [Heaven affinity] – The only character with a default Heaven affinity, Gabriele’s attacks strike all enemies in a small, circular area directly in front of her. Her weapon is a chest called “Pandora’s Box,” and its contents can be seen by using her various skills. · Diana [Earth affinity] – Diana has good physical attack power, wielding a mid-range spear called “Kirin” to strike enemies directly in front of her. · Francesca [Flame affinity] – Francesca uses a pair of claws called the “Scar of God,” striking multiple times in a single turn. Like Charlotte, Francesca has high physical attack power. · Adelheid [Frost affinity] – Adelheid has high physical defense, and uses a shield called “Scutum Absolutae” to blow back enemies in close range. Players can prepare their favorite party members for any battle situation by equipping them with special items called “Skill Chips” to change their default elemental affinities. As enemies also possess these specific elemental affinities, Skill Chips can be particularly useful for knocking down powerful foes! Each of the seven heroines have four unlockable special skills consisting of physical attacks, healing skills, and support skills which can be obtained by having Luchs spend time with them during downtime from battle. 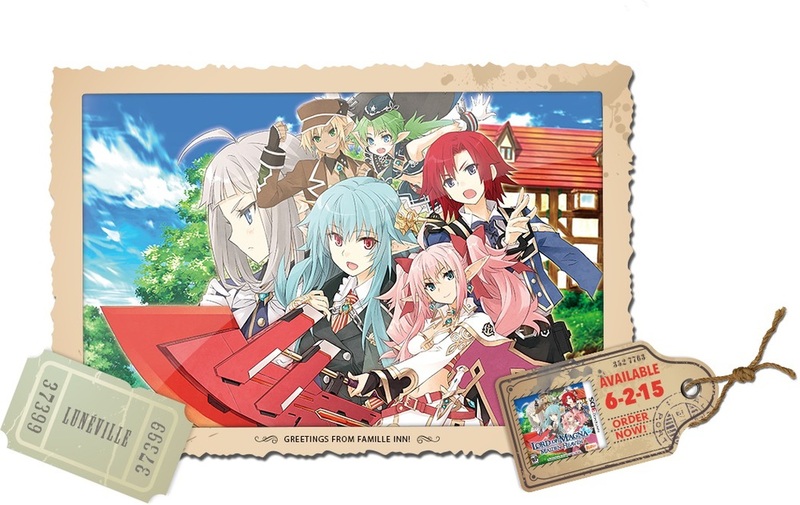 These “HEART Events,” part of Lord of Magna: Maiden Heaven’s relationship-building system, are all about getting to know the heroines personally. The more time that Luchs spends with a heroine, the greater the number of special skills that will be unlocked for both characters. In order to use special skills, the player must build “Tension” during battle, which can be earned by defeating enemies. Using these special skills can also build Tension when enemies are defeated with them, and if a character can defeat 10 or more enemies in one turn, that character will earn a second turn with the option to use an additional special skill if enough Tension has been accrued. To help in the understanding of these gameplay details, XSEED Games has shared a brand new Lord of Magna: Maiden Heaven tutorial video based on the game’s battle system (available at youtu.be/uD5rNf4wHUo), as well as screenshots and character art. 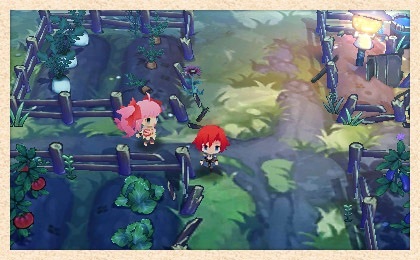 Visit the official website for additional details about the game, its battle system, and more atwww.lordofmagna.com. Developed in Japan by Marvelous Inc., and published in North America by XSEED Games,Lord of Magna: Maiden Heaven will be available on June 2, 2015 exclusively for Nintendo 3DS. The game will be available in physical format packaged with a bonus original soundtrack CD (only included with first print-run copies) at participating retailers, and in digital format via the Nintendo eShop, with both editions retailing for $39.99. Lord of Magna: Maiden Heavenhas been rated “T” for Teen by the ESRB in North America.